Server backup and recovery capabilities are essential for every business. Below are excerpts from a recent podcast interview with Dave McCrystal, Evolve IP’s Vertical Markets Manager, conducted by Don Witt of Telecom Reseller Magazine. McCrystal explains Evolve IP’s new relationship with Nimble Storage and the server backup and recovery benefits it offers to customers. This is specifically true in terms of security, business continuity and cloud flexibility. The interview was conducted on the heels of the HIMSS 2017 Healthcare conference where Nimble and Evolve IP first announced their new relationship and where Evolve IP’s Tim Vogel discussed why the demand for server backup and recovery solutions is so high. Vogel delivered three speaking sessions at the Nimble Storage exhibit booth on the topic of ransomware protection and data security in the cloud. Both of these issues are raising the eyebrows of CIOs and CISOs in all industries. In addition to the excerpts below, the full interview with Mr. McCrystal can be heard here at the Telecom Reseller website. Telecom Reseller: Dave, can you give our listeners some background of Evolve IP? McCrystal: Evolve IP is one of the nation’s fastest growing cloud computing companies, we provide cloud services to a variety of industries, such as healthcare, legal, banking, travel, veterinary medicine and retail. We have a host of solutions that we bring into those verticals ranging from virtual data centers and phone systems, server backup and recovery, to Disaster Recovery as a Service (DRaaS), hosted contact centers and unified communications. So we really pride ourselves on being the cloud strategy company for any need that a company may have. Telecom Reseller: Now you have a specific announcement? Maybe you can provide our listeners with background on that? McCrystal: We recently announced a new partnership with Nimble Storage that we are really excited about. It helps us greatly in the healthcare space where we have a lot of experience and strong customer base, but also it is a pervasive solution that will help us in virtually every industry. We’re working together to provide a secure cloud environment based on Nimble’s encryption technology that enables secure and seamless server backup and recovery. 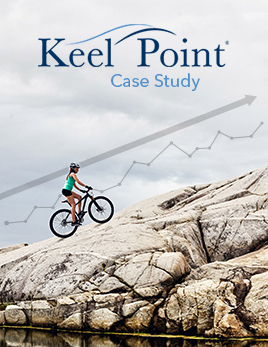 We are able to locate customer workloads and backups on both the east and west coasts using their Nimble-to-Nimble replication technology very easily. The data mobility benefits are really exciting. And in the healthcare space, those are critical elements. The security, HIPPA compliance, and the PHI protection are really big drivers that we’re able to help companies with. Telecom Reseller: Evolve IP as a host carrier has been HIPPA compliant and that has really opened up the door for those verticals. Can you give us a little background on that? McCrystal: We’re always trying to look at security holistically. 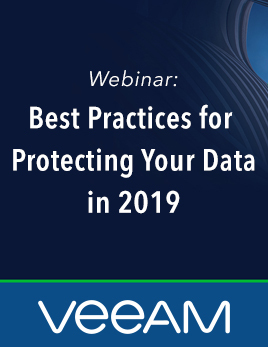 You have the proactive security, which is the threat intelligence to get out in front of the bad actors and learn what their next move may be. Then we have continuous security management, which is looking at our infrastructure on a continuous basis and insuring that the patches and upgrades from all the different technologies that make a robust infrastructure work are all working harmoniously. And then on the back end is incident response, which is having robust server backup and recovery procedures in place. It’s probably lost on no one in the audience that the ransomware attacks and cyberattacks have been growing off the charts in the recent past. Cyberattacks have always been out there as a threat, but in the healthcare space data breaches have made the big news. These thieves are trying to access the patient records and steal them and put them out for sale on the black market. But the fact of the matter is that they have been so successful at doing that over the past few years that there is a glut of information out there. There is really no money to be made from that type of activity any longer. Not to suggest that this is going away as an activity, but in relative terms the economics of the hacking world have diminished precipitously. What is more attractive is to conduct the same or similar type of hacking activity and get paid immediately. Why wait to acquire and find new buyer for that information to monetize it? Ransomware is a much more attractive market opportunity for them because what it seeks to do is simply lockup or encrypt the information so it is unusable until the attacked company concedes and pays the ransom that they’re demanding. Telecom Reseller: So how do you help your clients when they get the message saying that there’s been a takeover of their computer system? McCrystal: First of all, that is a very common thing actually. It happens like you said. We’re protecting customers from that on a daily basis because you’re only as safe as your weakest link. This is something that I think a lot of people don’t understand. It’s not a question of having bad security per se. The attackers are not necessarily trying to penetrate the castle walls. They’re actually going in dressed as a normal soldier. They’re going to go in through an open door that a user creates and allows. For example, they are going to use existing email credentials so it seems innocuous. Email is the most common hole that hackers will walk through. So what you need to have is incident response capabilities. It really operates from the expectations that it’s not “if”, but “when” you are infiltrated, what will you do? Again, it could be an employee that has a bad day and they click on an email that they shouldn’t click on…despite all of the training and all of the warnings against doing so. It can be something as basic as that which shuts a company down. That’s where the way that you provide server backup and recovery becomes essential. The answer is having data backups and putting those data backups offsite, isolated from the other data, so that you’re not replicating malware to it. Replications are great and fast ways of copying the data from different places, but once the data has turned bad, that “badness” can be replicated to your back up location as well. So you need multiple backup strategies and technologies like those that are innate to our cloud solutions. With our approach, customers know that we have kept an issue-free copy of their data from some point in the recent past. Customers who have disaster recovery as a managed service will have an SLA to ensure that their business can be brought back and servers are up and running within a specified period of time. That’s typically guaranteed to be less than 4 hours. So it’s having that planning done ahead of time to set up that environment that’s key to the protection. 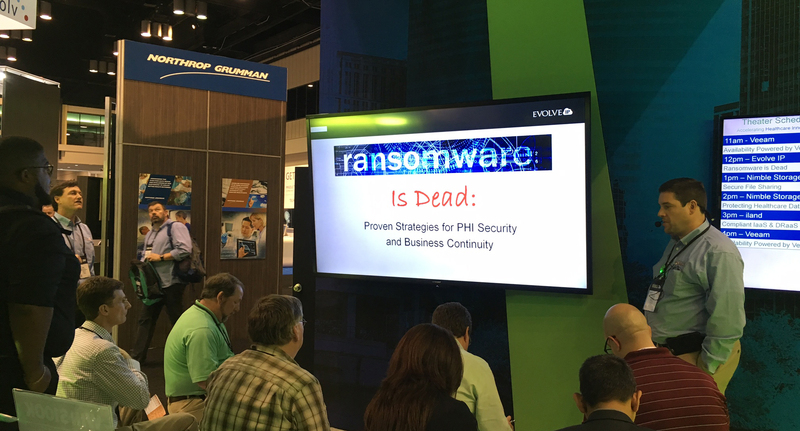 In fact, when Tm Vogel just gave the talk at the Nimble Storage booth at the HIMSS healthcare conference last week, the topic was “Ransomware is Dead”. It illustrated to people how customers who have had that type of “DRaaS forethought” and who have put proactive server backup and recovery solutions into place were able to withstand the ransomware attack with minimal impact to their business. They just shrug it off, restore backed-up data into a new environment that we have created for them, and then ignore the environment that has been infected by ransomware. 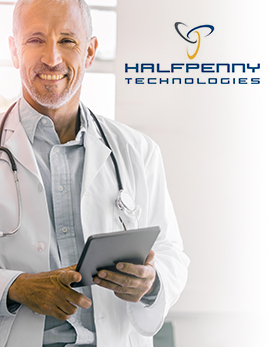 Telecom Reseller: HIPPA compliance is a big-time asset for you in the medical field and your security aspects I think are really strong features that a lot of the listeners and including private enterprises are going to be very interested in. McCrystal: Thank you very much. That last comment you made is a critical one. Healthcare has certainly been an attractive target for the hackers because of that historical value that the healthcare records have had. But no one is immune from these types of cyberattacks. In fact, many of the attacks are completely victim agnostic. Attackers have no understanding of who they are even attacking. They’re just generating automated threats. So it is not only healthcare that needs to pay attention, it’s an issue for every industry.